Historical Genealogy of the McCurdy Family, Elmer D. E. McCurdy, pre-1917. Different version, c.1909, without section on Stewart of Ballintoy. The Stewarts of Ballintoy, Rev. George Hill, 1865. Vol. 6, No. 1 (Jan., 1900), pp. 17-23. Vol. 6, No. 2 (Apr., 1900), pp. 78-89. Vol. 6, No. 3 (Jul., 1900), pp. 142-161. Vol. 6, No. 4 (Oct., 1900), pp. 218-223. Vol. 7, No. 1 (Jan 1901), pp. 9-17. The ancestral McCurdys, their origin and remote history, H. Percy Blanchard, London, 1930. See note. the family built Ballintoy Castle (now gone). This line needs more work. All sources agree that Ninian Stewart (son of Ninian by 3rd mar) is ancestor of Stewart of Ballintoy. Mary Stewart Kyritsis has Ninian's son Archibald as the one who came to Ireland. Peter Barns-Graham has Ninian with a son Robert. Paul Robinson has our Christian as the dau of James. 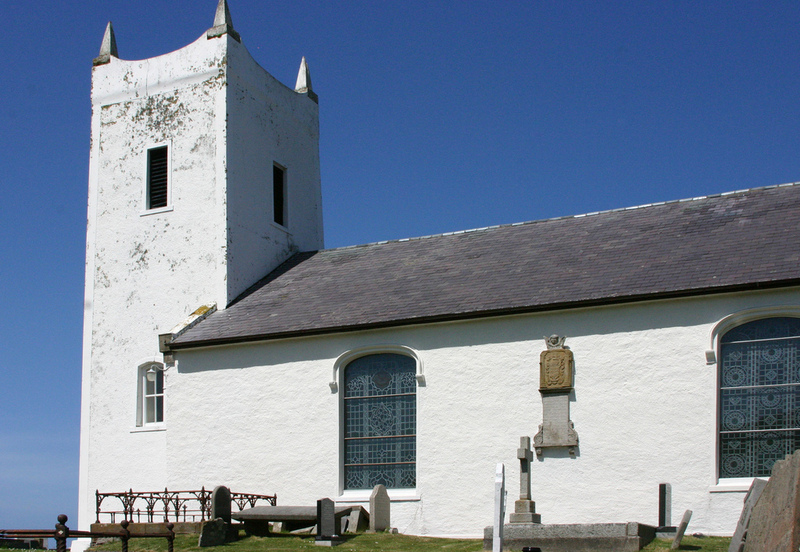 McCurdy says Stewart of Ballintoy descends from "Sir James Stewart, whose father was Sir Ninian of Nether Kilmory in 1532". So for the moment I put Christian as the dau of James, a younger son of Ninian. mar think c.1612 to Brice Dunlop and had issue. Stewart arms are on the wall of the church. 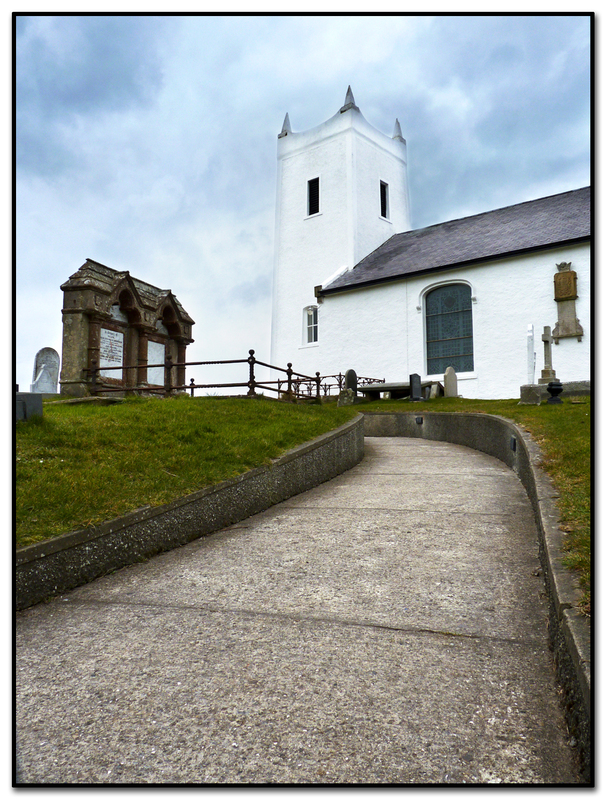 Close-up of Stewart arms, on Ballintoy church, Co.Antrim. Memorial to Alexander Stewart [born 1645, died 1723, age 78]. See other shot and closer and closer.